Manufactured of high quality steel that is polished and provides corrosion resistance. Tool Holders are also available in stainless steel for cutting applications that use coolant or for use where high-humidity is present. For use on CNC routers and point to point machines with automatic tool changes. All tool holders are supplied with a ball bearing collet nut for LH or RH rotation and include the pull stud. 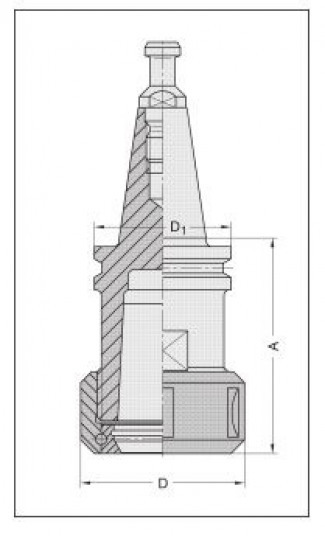 This chuck is for use on Weeke machines that utilize the ETP hydrogrip G25 tool clamping system. 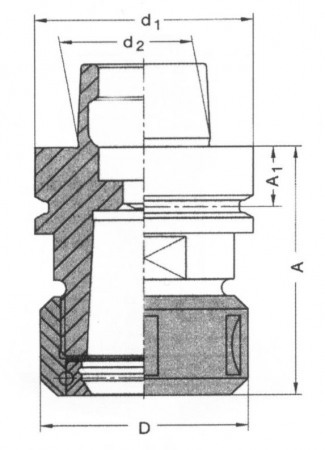 The collet style used for this holder is RDO20 (SYOZ20). 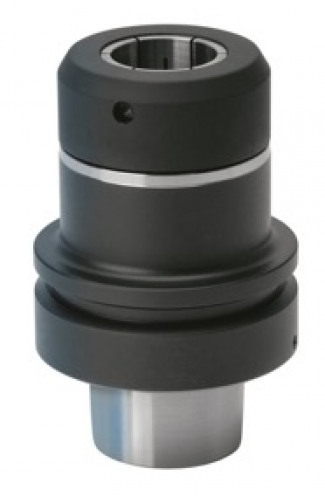 HSK63-F High Precision collet chuck which provides the same accuracy as a heat shrink or shrink fit tool holder without the need for additional accessory equipment. This toolholder uses special 462E style RDO/SYOZ collets, which, together with the high precision collet nut provide an accuracy of .003mm (.0001")! Increase tool life and improve finish. Collets are available in metric sizes and currently in 1/4", 3/8" and 1/2".